I wrote a whole blog piece about how they protect our skin, but I started to realize something… Do they protect our environment? Do they protect the coral reefs from getting bleached when we swim in the ocean or snorkel? Mother Earth is our home base and I believe it should be equally respected from all angles, like the coral reefs. Our coral reefs help the trees produce oxygen for us. Products with the ingredients Oxybenzone, Butylparaben, Octinoxate, Methylbenzylidene camphor, and so many more, are polluting our oceans and destroying the coral reefs. We need to recognize the damage that is being done to our environment and start making a change. So, my research went from “best sunscreen” to “best biodegradable, eco-friendly, reef safe sunscreen” and I put together a list of the TOP 5 BIODEGRADABLE, ECO-FRIENDLY, REEF SAFE SUNSCREENS. Sun bums new, zinc-based mineral collection is ideal for your safety and protecting the earth. These products are healthy, especially for the most sensitive skin, because it is made with specialized hypo-allergenics and is fragrance free. They are100% vegan, gluten free, paraben free, and cruelty free, as well. For babies to adults, this sunscreen is great for everyone and the environment. 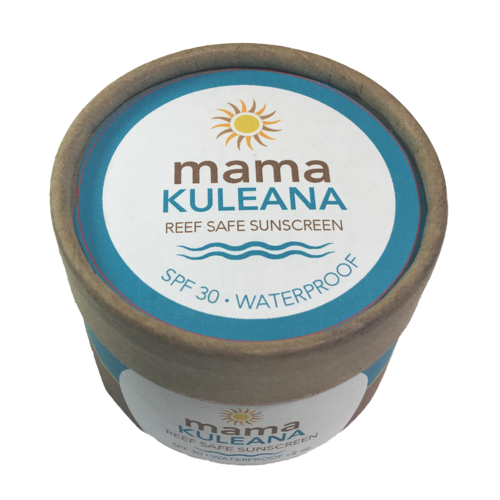 This handmade sunscreen is made by mama Kuleana in the West Maui Mountains in Hawaii. Her sunscreen is eco-friendly and reef safe. Each container is made with love, so you know the person behind it cares about your health and the environment. The best is, she uses biodegradable containers to protect the environment. The ingredients are Organic Shea Butter, Organic Coconut Oil, Beeswax, Organic Safflower Oil, Non-Nano Zinc Powder, Raspberry Oil, Rose Hip Seed Oil, and Vitamin E oil. She also includes the essential oils: Carrot and Frankincense, for their skin protecting properties. At Blue Lizards, their belief is, “We believe that strong protection doesn’t require a harsh touch.” So, they created a chemical free, mineral based sunscreen that is safe for the environment. Mineral based sunscreens reflect the sun’s rays, not absorb them. Their smart bottles change color when they are exposed to UV light. The color of the bottle top changes from white to blue. This sunscreen is dermatologist recommended. This sunscreen was made with those who lost their lives to skin cancer in mind. This holistic, mineral sun care is the new alternative to skin protection. This eco-friendly sunscreen without harsh chemical uses the ingredient non-Nano zinc oxide and even better, their bottles were made to be recyclable to reduce plastic waste to protect the planet. Eco friendly and reef friendly, cruelty free, and paraben free. This product protects you and the world you love. 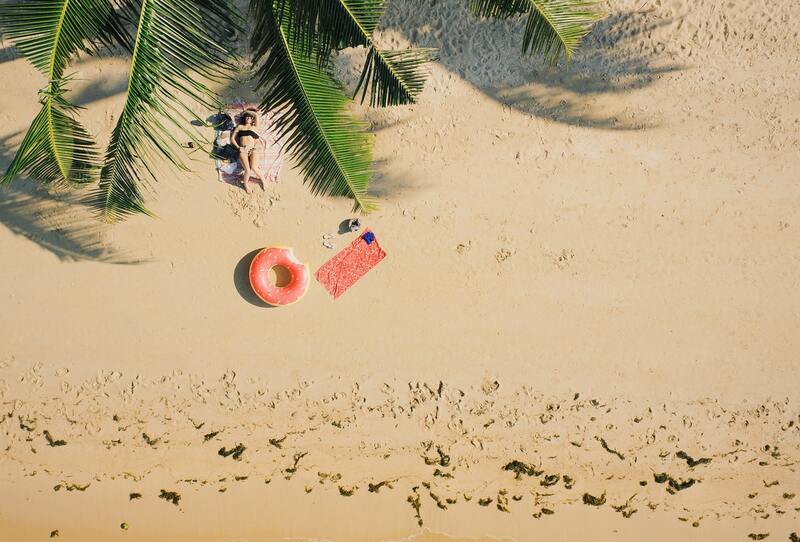 Founded by a beach lifeguard, this natural alternative for sunscreen is made with active antioxidants, vitamins, and minerals produced by mother earth. It’s organic, chemical free, reef safe, biodegradable, and 100% recyclable. The ingredients include Certified Natural Zinc Oxide, Organic Beeswax, Organic Black Tea, Natural Candelilla Wax, Organic Hemp Seed Oil, Organic Green Tea, Organic Rosemary Oil, Natural Mango Butter, Organic Cocoa Butter, Organic Sunflower, and Natural Tocopherol (Vitamin E) Soy Free. This product is safe for the smallest infant or most active athlete. Take a chance on these all natural sunscreens and keep protecting our planet!